A conflict between healthcare providers may lie at the heart of some nursing and medical malpractice cases. Unresolved conflict may result in avoidance of the troublesome person. When nurses avoid interacting with physicians, or residents avoid interacting with attending physicians, the patient may be hurt. A physician is known to be a bully to the labor and delivery nurses. They avoid calling him when a laboring mother begins to show signs of fetal distress until the signs are so ominous that they cannot put it off any longer. Precious time is lost. A resident detects signs of neurovascular compromise. She brings this to the attention of the attending, who dismisses her concerns. “He must know more than I do”, she says to herself and does not act further. The patient develops compartment syndrome. 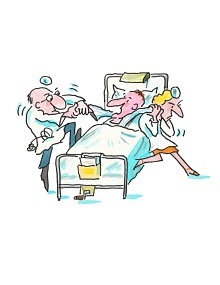 An attending and resident laugh at an experienced critical care nurse who reports a critical lab value. “I am obligated to report this to you within 30 minutes and to document this report”, she tells them. She hopes she does not have to interact with them again anytime soon. Organizations like the American Association of Critical-Care Nurses and The Joint Commission are increasingly focusing on managing conflict within the workplace. Although effective conflict management skills have been identified as an essential competency for the professional RN to provide safe, quality care to patients, reports of workplace conflict continue to rise. In 2009, the Center for American Nurses conducted a conflict resolution survey to identify challenges related to conflict encountered by the professional RN. A total of 858 nurses responded to both open-ended and closed-ended items in a web-based survey. After coding and analysis were completed, a thematic analysis was conducted and four themes were identified: anguishing through unhealthy conflict and its effects, longing for a better path to address conflict in a productive manner, understanding and welcoming channels to address conflict, and suggesting improvements to address workplace conflict. The most common and problematic type of conflict that was experienced in the workplace involved interpersonal conflicts. The three prime situations of interpersonal conflicts frequently identified in the survey included (1) patient and family, (2) nurse manager, and (3) physician. Research on nurse conflict management styles in inpatient acute care environments such as medical-surgical and critical care units strongly suggests that nurses prefer the avoidance approach to managing interpersonal conflict. One explanation is that in situations such as nurse-physician interaction, the avoidance conflict management style may be used when the nurse, feeling intimidated by the physician’s “power” and “authority,” hesitates to confront the physician about the needs of patients. The Joint Commission has expressed concern about this behavior. 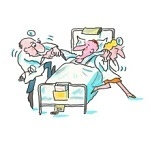 Avoidance leads to poor communication, which leads to poor patient outcomes. It can also lead to higher levels of stress for the nurse. One study found that the avoidance conflict management style independently predicted stress with peers and problems with supervisors. This has ominous implications for both the nurse and the patient because the avoidance conflict management style has been associated with increased levels of work stress, which has been linked to negative patient outcomes such as medication errors, I.V. errors, patient falls, and reduced quality and efficacy of care. Unresolved conflict plays a role in the dynamics that can lead to poor outcomes, patient injury, and plaintiffs seeking legal representation. Med League provides nursing expert witness and medical expert witness who review medical-surgical and emergency department cases. Contact us to retain us for your next case.